Auctiva's FREE Scrolling Gallery will enhance your listings. 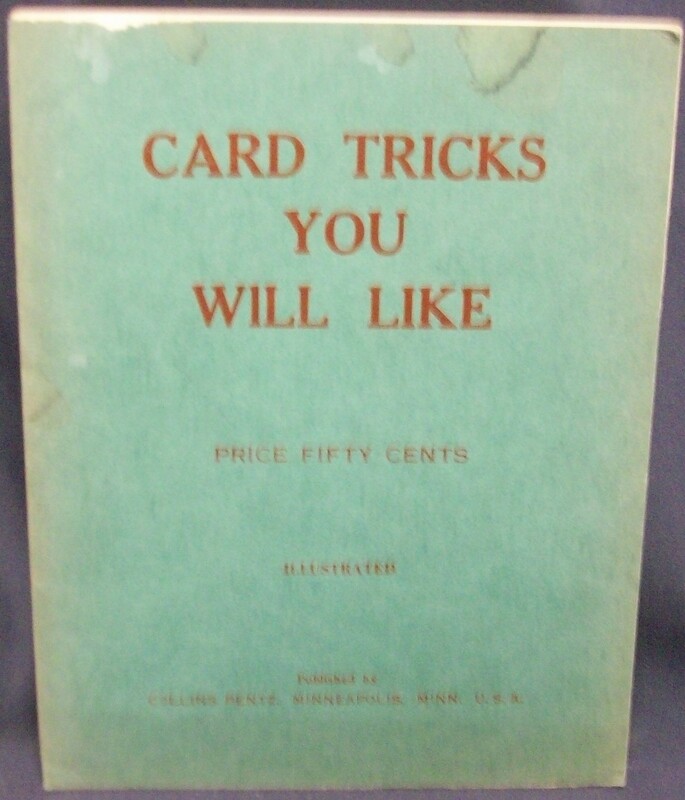 Card Tricks You Will Like by Pentz, Collins Self Published, 1938, stated first Softcover in cover wrap. Text is clean and unmarked folded unstapled pages in good condition and clean, some tanning due to age and paper used. Folded wrap has some spots and is however is somewhat faded and has some inscription inside which is hard to read and its dated 1967, no rips or tears in it, small chip top front. This booklet deals with card tricks, B W illustrations, 9 pages and a couple pages of ads. Powered by Turbo Lister The free listing tool. List your items fast and easy and manage your active items.